Become a “U.S. Green School Fellow” and gain extraordinary insight and training through the nation’s premier week-long environmental leadership training program at the state-of-the-art National Conservation Training Center of the U.S. Fish and Wildlife Service (FWS), in Shepherdstown, WV, just outside DC. 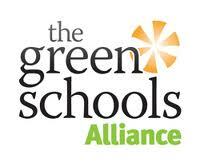 The Green Schools Alliance (GSA) is accepting applications and nominations from those who have demonstrated outstanding leadership in their schools or communities. Coordinated by Green Schools Alliance and the US FWS. Train in advanced Open Space Technology (OST) methodology taught by U.S. FWS and other OST Experts. Participate for FREE from June 23-29, 2013. Learn from world-renown speakers. Join Faculty and Students from across the U.S. Apply NOW for this unparalleled opportunity. This entry was posted in 21st Century Learning, Across the Curriculum, Global Studies, Independent School Trends, Professional Development, Project Based Learning, Sustainability, Technology, Uncategorized and tagged 21st century skills, Green School Alliance, leadership. Bookmark the permalink. This sounds like a great opportunity.